I'll be back to Costa Rica soon - Pura Vida! 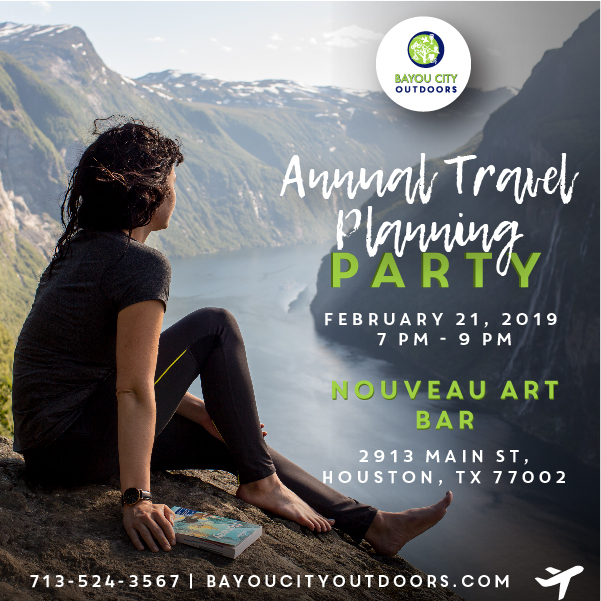 Join us this evening to learn about all the travel adventures 2019 has to offer. We are shaking it up a bit this year and holding our Travel Planning Party before we actually unveil our final selected 2019 Trips! Crazy, we know, but there is a method to our madness…sometimes! Over this last year, we have had so many members say they would like to lead a trip, but then ask, "Do you think anyone will want to go"? We think the best way to find out is to ask! There are about 30+ trips that have been suggested for 2019, and even into 2020. We're going to showcase all the trips and let you pick. Plan on worldwide adventures and quite a few stateside and even Texas wide. We've heard it all and love what we're hearing. Pack your bags, find your passport, and if you don't have a travel companion – don't worry – we've got you covered! There is always plenty of fun, BCO adventurers up for a jaunt! In 2018, we went to Costa Rica, New Zealand and Greece. We sucked blood... well... wine, at Dracula's Castle in Transylvania, Romania at Halloween. We biked Holland, South Africa and Cuba. We hiked in Ireland, backpacked Big Bend in Utah. Plus, we somehow managed to fit in Yellowstone, Napa, Santa Fe, Palo Duro Canyon and the Grand Canyon, to name just a few! You will get all the details on almost all the 2019 trips planned. You’ll meet the trip leaders, connect with travel companions, and make some awesome new friends. All you have to do is sign up for the trips you want, grab your passport, pack your camera, and plan on adventuring with BCO! PARKING: there is parking in the lot, and if we run out there is parking across the street and on the street! We will have a food truck on hand for dinner & snacks, and Nouveau Antique Art Bar is a full bar and full of Tiffany lamps! Directions: on Main between Tuam and Anita - big parking lot, located just around the corner from The REEF Restaurant and near Crave Sushi on Main St. just across the lite rail line. From Midtown - Take McGowen to Fannin. Turn R on Fannin. Go 3 blocks and turn R on Tuam. Arrive at 2913 Main. From Galleria/Southwest - Take 59 towards downtown. Exit Main St. Take L at the light. Travel ~1 mile and arrive at 2913 Main on the R. From North - Take I-45 South and exit at Dallas/Pierce. Stay L on Pierce until you reach Fannin. Turn R on Fannin. Turn R on Tuam. Arrive at 2913 Main.